I'm writing this while still quite overwhelmed with everything that happened at my 250th parkrun. From Terry's Facebook message to Richey's balloons on the finish funnel and 250 hedgehog cake. From Tessa's lovely words during the run briefing to the unexpected visitors and Jane's special cake, it was a lot to take in and I'm extremely grateful to everyone that helped to make it a very special morning. 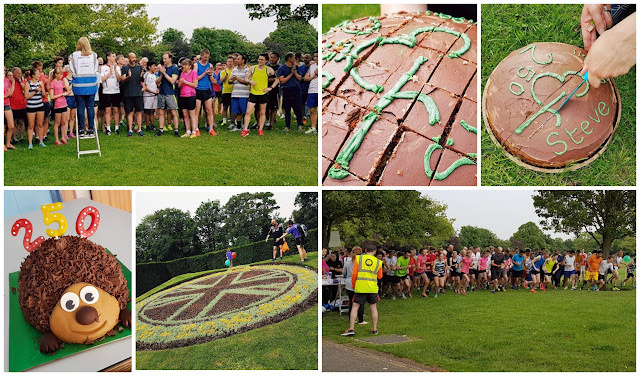 The last time I ran an official milestone parkrun was on 13 July 2013 at Riddlesdown parkrun's second year anniversary event (100 club). The one before that (50 club) was run on 5 May 2012 at Riddlesdown parkrun 47 (in the rain). 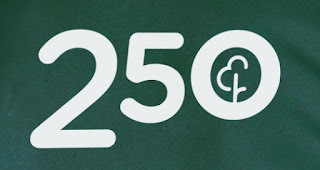 A lot has changed in the last three years and for my 250th parkrun the only place I could really imagine running was Dartford parkrun - so that's where I went. 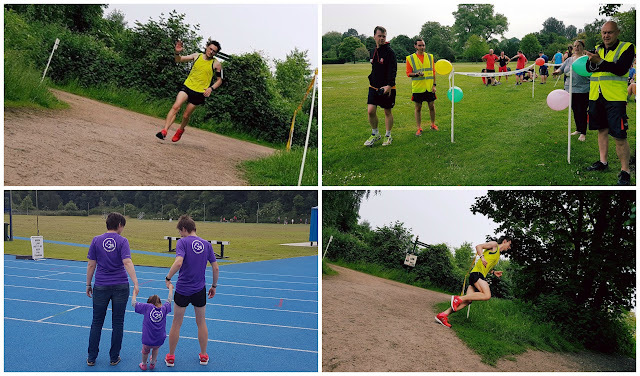 Being a special run, I wanted to do all the things I like best at parkrun. 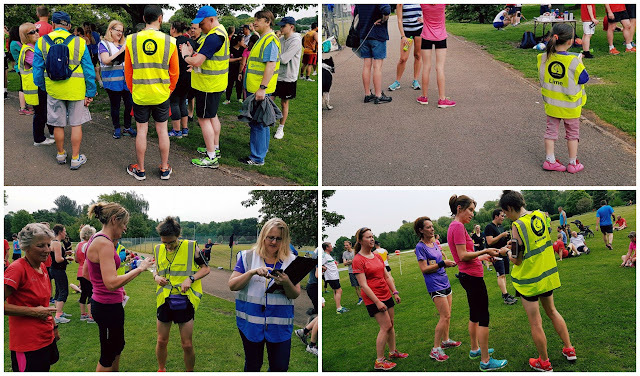 So I put myself down on the roster to do the pre-event set-up, I would then run the parkrun and immediately transfer to barcode scanning. The run-scan combo was something that I did every week in the early days of Dartford parkrun and it was only when my knee started having some issues that I had to temporarily give it up. Once I'd got the running part out of the way, I donned the hi-vis vest and picked up the barcode scanner and purple bumbag to continue scanning. It was here that so many people congratulated me on the achievement and I really wasn't expecting anything like this. Still overwhelmed. Dani and Matilda have of course been to many parkruns with me and their continued support is priceless. I'm very grateful to them for putting up with my constant parkrun chat and early Saturday morning alarm calls. Incidentally, they have volunteered quite a lot themselves (see below) and Matilda's junior-sized V25 shirt became available to order recently. Today she proudly showed it off for the first time.